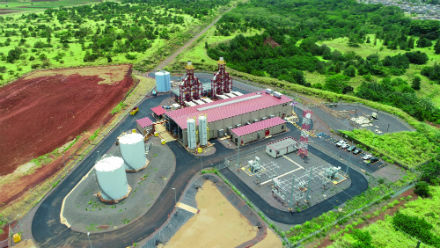 Wärtsilä has signed a “maintenance and operational advisory agreement” covering Hawaiian Electric’s 50 MW Schofield generating station, located on the island of Oahu, about 40 km from Honolulu. “The agreement will help the utility to maximise the availability and efficiency of the power plant”, says Wärtsilä. The maintenance and operational advisory agreement between Wärtsilä and Hawaiian Electric Co, executed in May 2018, responds to a variety of Hawaiian Electric Company’s needs, ranging from maintenance and technical support to reduced outage time while helping to control cost. The plant is operated on biodiesel with ultra-low sulphur diesel as a secondary fuel and has the ability to use biogas or natural gas in the future. The plant can also provide “black start” capability, which improves resilience in the event of natural disasters such as hurricanes or tsunamis. “Ensuring reliable and efficient operations of the plant is important for the island’s energy resilience and achievement of renewable energy goals. Our partnership with Wärtsilä will help the power plant meet its goals in a cost-effective manner,” said Michael DeCaprio, power generation manager at Hawaiian Electric. On Oahu, the installed capacity of solar PV systems is the highest per capita in the United States. Therefore, it is crucial to have fast-starting generation capability that can respond to changes renewable output. Renewable portfolio standards require Hawaiian Electric’s generation to be 30% renewable by 2020, 40% by 2030, 70% by 2040, and 100% by 2045. Wärtsilä says Schofield will help achieve those benchmarks.